As parents of four babies born prematurely, we are supporters of charities who benefit families with premature babies and those dealing with a NICU stay as well as infant loss. These are specific charities who were helpful to us that we in turn support. Preemie prints is an organization founded to support families with babies in the NICU including those dealing with infant loss. They provide outreach via a blog and with group meetings. 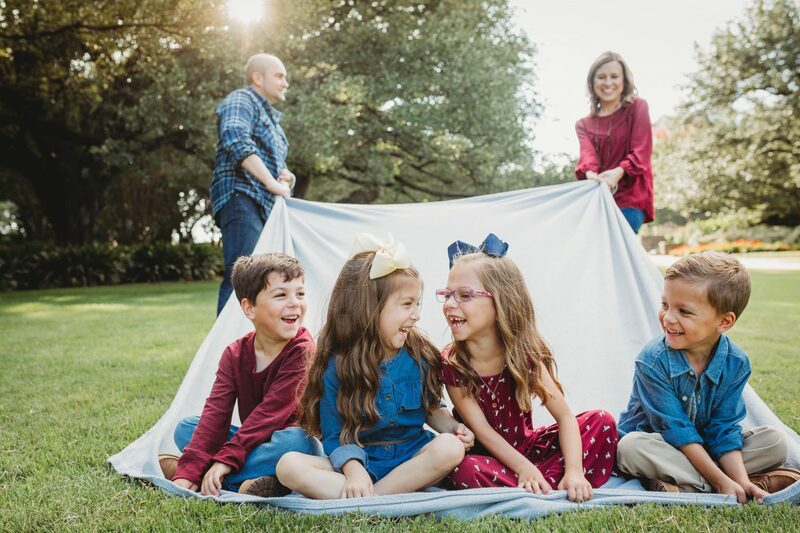 Through the efforts of volunteers, they provide no-charge family photography sessions to families with babies in the NICU and NICU graduates for the first year (in specific areas only). This was one of my favorite family portraits taken during our session. 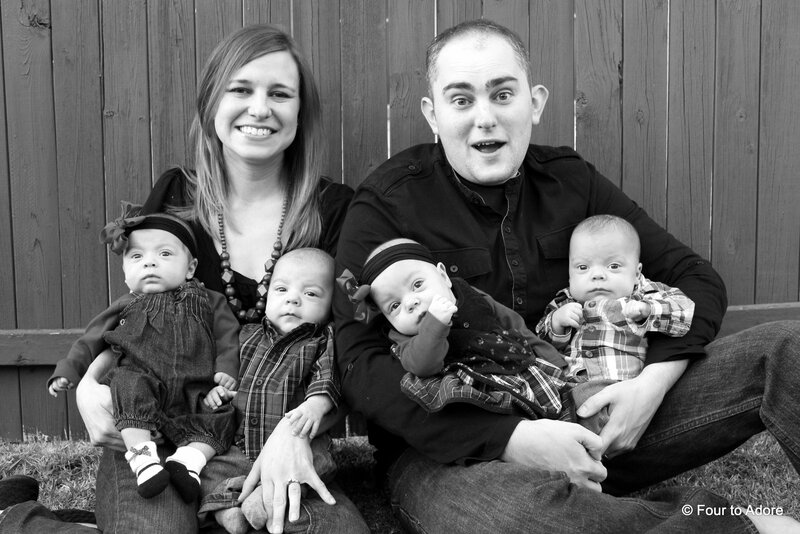 NICU Helping Hands located in Fort Worth, TX seeks to support families dealing with high risk pregnancies and premature births. Support is given to the entire family unit, including siblings. For families who say goodbye to babies too soon, they create angel gowns created from donated wedding dresses. 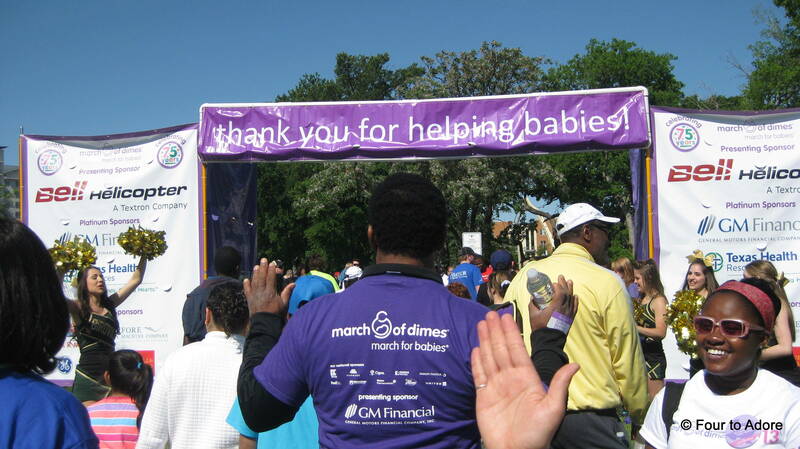 In April 2013, we participated in our first March of Dimes walk. Ta da! 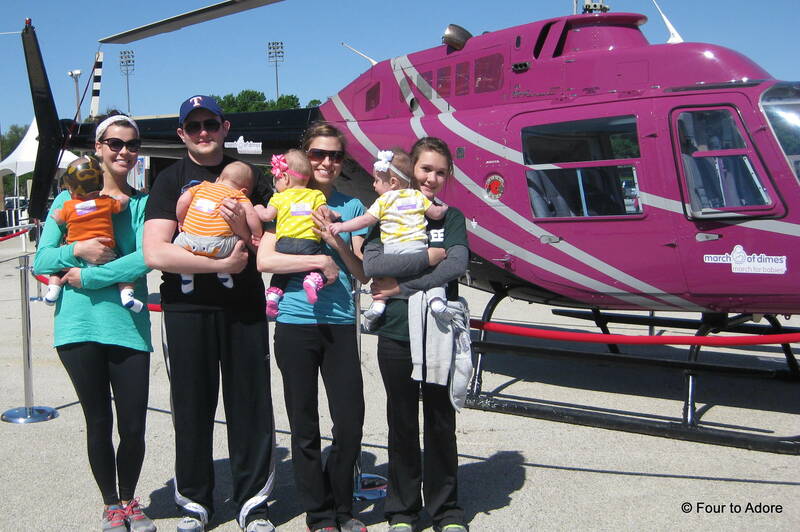 We made it through the finish line with four babies in tow! Wrap Buddies was founded by 360 Wraps (A company that puts wraps on vehicles and motor cycle helmets for advertising or decoration). 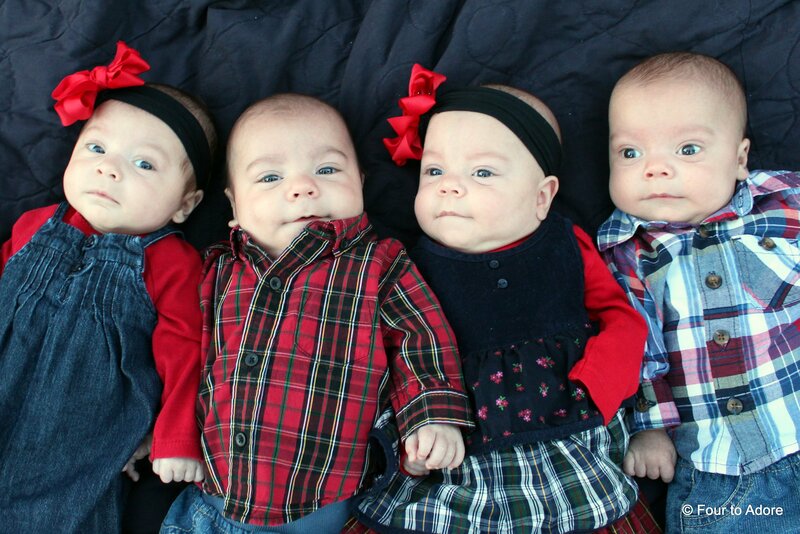 Their mission is to help families cope with their children wearing DOC bands. On a monthly basis, Wrap Buddies hosts a “Wrap Party” for babies with new DOC bands and each band is decorated to reflect the baby’s personality. Unfortunately, the timing of Mason’s DOC band did not align with a Wrap Party so we painted his, but it would have made his band beautiful! Pan seeks to help families in need of costly prescriptions or medical treatments that may be at risk of not receiving needed care. Many preemies need Synagais to help prevent them from contracting RSV while they are vulnerable. However, Synagasis is extremely costly even for families with insurance coverage. Thankfully, many families receive assistance from PAN to ensure their babies receive Synagasis. Because many premature babies are developmentally delayed, many receive services from ECI to help them progress and thrive during their first three years of life. Services providers may include Occupational Therapists, Physical Therapists, Speech Therapists, teachers, and counselors, and are provided based upon each child’s unique needs. All services are provided in-home and fees are on a sliding scale. All of our babies received services for at least a short period of time, and we felt they were valuable in fostering the babies’ early development. In areas outside of Texas, similar programs exist, but may have other names. Welcome! I'm Amber, mom to girl, boy, girl, boy quadruplets. At Four to Adore, you’ll find heartwarming and humorous anecdotes from daily life with quads, DIY projects, tips for parenting multiples, product reviews, recipes, and kid approved activities.